This road was built in the 60â€™s or early 70,s. It was constructed to service an aerial tramway that was supposed to take you from Georgetown to the top of Saxon Mountain. The tramway never happened. It is what it is what it is. A tough 8 mile climb (2500 ft.) up Saxon Mountain Road to the top of Saxon Mountain 11050 ft.! On your bike get back on the street you drove into town on head S.W. to the 4-way intersection continue straight through the intersection cross over Clear Creek follow the street 2 or 3 blocks to Main St. a T-intersection turn left ride a short distance to a stop sign continue straight Main St turns into Saxon Mountain Road. The climb to the top is sometimes rocky and somewhat steep. The views are stunning! When you reach the top you have an incredible panoramic view of Mt. Evans and the Divide. You are in a beautiful Bristle Cone forest! The Rocky Mountain bristle cone pine doesnâ€™t grow any further north than James Peak. Some of these trees may be 2,500 years old! From the top of Saxon Mountain you can follow the power line to Silverdale. 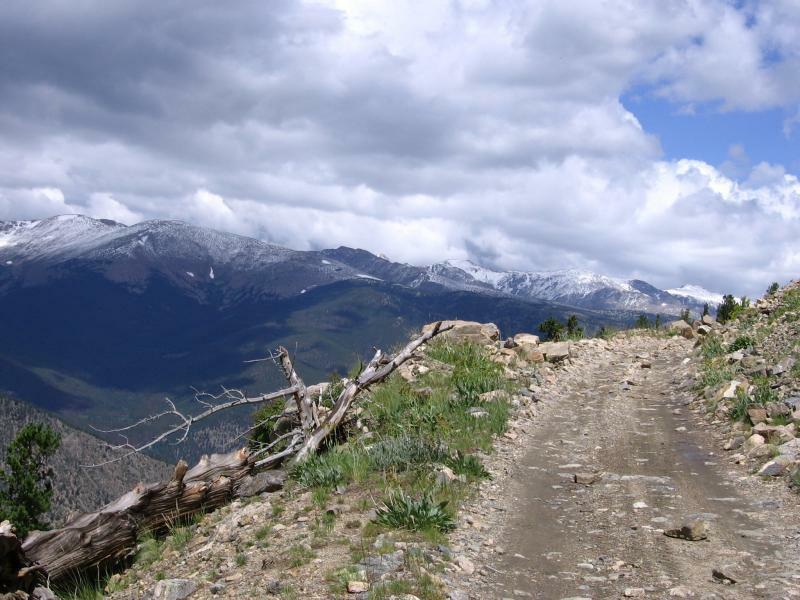 There are quite a few options to the east (mostly double track) Silver Creek Trail via Upper Silver Creek Trail (Spring Creek Jeep Road),Idaho Springs. Chicago Creek plus many more possibilities. Trails Illustrated Bike Map #502 Idaho Springs/Clear Creek County shows most of these routes. Review: The climb here is the thing that makes this trail difficult. This was the very first trail I ever did on a mountain bike and I would say it's a great beginner trail because it's wide and very smooth. Review: I finally made it over to the power line and down the other side to Silverdale. WOW this is a hard technical loop. I would rate it as advanced. Lots of loose rocks. The decent to Silverdale is steeeeeeep! To get to the power line ride up Saxon Mountain Road to Lamartine Jct. Turn left then right and follow the 4x4 road to Highland Park the power line trail takes off under the power line at the end of the road. Saxon Mountain MTB Trail 2.50 out of 5 based on 2 ratings. 2 user reviews.